Assorted 12's (new colours added to range)..
Assorted 48 colours . This set contains Process Red, Crimson Red, Carmine Red, Magenta, Pink, Blush Pink, Light Peach, Poppy Red, Pale Vermillion, Yellow Orange, Orange, Yellow Ochre, Canary Yellow, Cream, Spring Green, Chartreuse, Dark Olive Green, Dark Green, Aquamarine, True Blue, Violet Blue,.. Warm Greys . 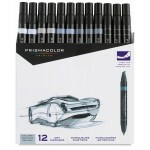 Set of 12 colours from Warm Grey 10% to Black..
Now in Tins - 12pc Arguably the best quality artist pencils on the market. 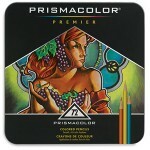 Created with high grade pigments for rich colour laydown. These pencils have soft thick cores that last longer. They are wax based, Acid Free and have a colourless blender. 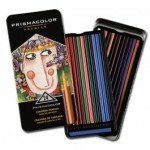 ..
Now in Tins - 150pc Arguably the best quality artist pencils on the market. Created with high grade light resistant pigments for rich colour laydown. These pencils have soft thick cores that last longer. 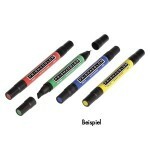 They are wax based, Acid Free,waterproof and have a colourless blender. 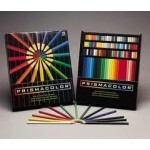 ..
Now in Tins - 24pc Arguably the best quality artist pencils on the market. 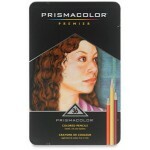 Created with high grade pigments for rich colour laydown. These pencils have soft thick cores that last longer. They are wax based, Acid Free and have a colourless blender. 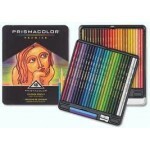 ..
Now in Tins - 36pc Arguably the best quality artist pencils on the market. Created with high grade pigments for rich colour laydown. These pencils have soft thick cores that last longer. They are wax based, Acid Free and have a colourless blender. 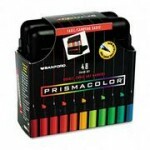 ..
Now in Tins - 48pc Arguably the best quality artist pencils on the market. Created with high grade pigments for rich colour laydown. These pencils have soft thick cores that last longer. They are wax based, Acid Free and have a colourless blender. 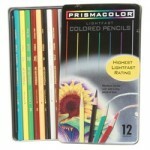 ..
Now in Tins - 72pc Arguably the best quality artist pencils on the market. Created with high grade pigments for rich colour laydown. These pencils have soft thick cores that last longer. They are wax based, Acid Free and have a colourless blender. 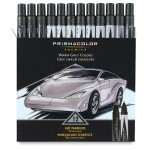 ..
Prismacolor Soft Core Pencils. 150 colours. Please select the colour required from the options. 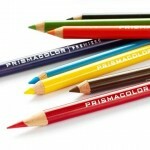 More than one product record is required to list all the colours. . See the Colour Chart here From simple sketches to complex creations, these premium coloured pencils and leads have you covered no mat..
Prismacolor Soft Core Pencils. 150 colours. Please select the colour required from the options. 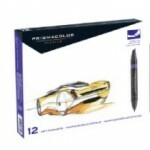 More than one product record is required to list all the colours.. See the Colour Chart hereFrom simple sketches to complex creations, these premium coloured pencils and leads have you covered no matter w.. 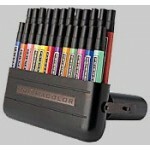 Studio Stacker Holds 24 Markers..